Banco ABC Brasil, controlled by Arab Banking Corporation (ABC), is a commercial bank specializing in lending and services for mid-size to large companies. The bank is authorized to operate Commercial, Investment, Financial, Real Estate, and FX portfolios and it also has a Cayman Islands branch. 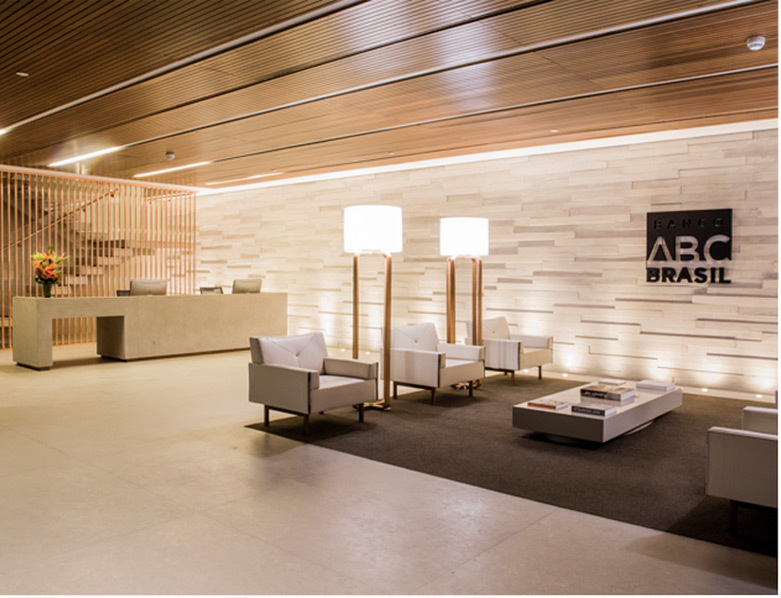 Banco ABC Brasil’s business focuses on mid-size to large companies. ABC Brasil’s main activity is financial intermediation for transactions involving analysis and assumption of credit risks. This business is complemented by structured transactions, particularly in capital markets and M&A, for corporate finance purposes. The bank regularly arbitrages markets, rates and currencies arising from transactions demanded by customers and proprietary positions. It adopts a conservative stance with low risk propensity for its credit business and treasury. Banco ABC Brasil has a broad portfolio of products, agile decision making, and profound expertise for credit analysis, which enables it to obtain consistent results with notably low loss ratios. It is one of the few Brazilian banks featuring international control and local autonomy. Over the last 25 years, the Bank has built up a solid customer base by offering high value-added financial products tailored to their specific needs. The decision -making process within the bank is based on committees that meet regularly to examine credit, treasury, investments, and administrative issues. Investment in technology, risk control, and operating systems is ongoing, as is process improvement. Business security is absolute priority for the Bank. Bank ABC (incorporated as Arab Banking Corporation B.S. C) is an international bank headquartered in Manama, Kingdom of Bahrain. Its business includes 5 continents, with presence in countries of the Middle East and North Africa, Europe, the Americas and Asia. Founded in 1980, the Bank is listed on the Bahrain Stock Exchange and its controlling shareholders are the Central Bank of Libya and Kuwait Investment Authority. Bank ABC is specializes in offering products and services, Treasury, Trade Finance, Structured Finance, Syndicated Loans, Corporate & Institutional Banking and Islamic Finance. The bank also offers retail financial products and services in the region of the Middle East and North Africa.